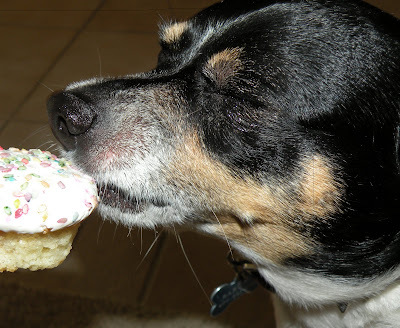 Barkley REALLY enjoyed his first Sprinkles cupcake this weekend! LOL! I hope you all had a great one. I tried to recuperate after being in Vegas and then immediately going back to work. I will post pics soon...promise! What did you all do this weekend and what is going on in the week to come? Barkley is a lucky pooch! I took a bus tour to West Virginia to take a couple train rides - I'm still trying to rest up from my weekend too! Have You Seen Etsy Shop?